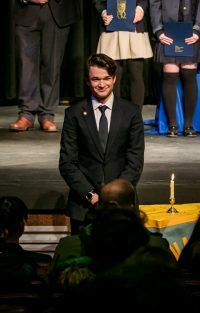 The flame of excellence burned brightly at The Storm King School as 15 new members were inducted into the National Honor Society (NHS)for the fall semester of 2018. 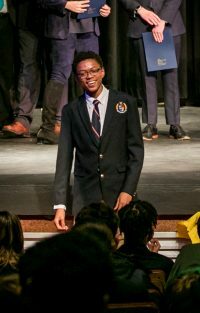 On the evening of Thursday, January 10, 2019, the students were recognized for their accomplishments both in and out of the classroom at a traditional candle-lighting ceremony held in the Walter Reade Jr. Theatre. 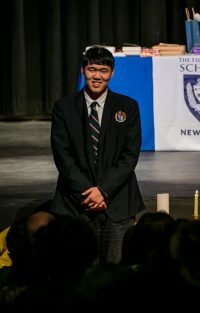 New inductees are carefully chosen by SKS faculty for their outstanding performance in the four areas the NHS deems essential for its members–scholarship, service, leadership, and character. These characteristics have been associated with NHS membership since the organization’s founding in 1921. To begin the ceremony, faculty member and NHS mentor Peter Rowe praised the members of the Storm King Chapter for their outstanding contributions to Black Rock Forest and other important initiatives on and off campus. 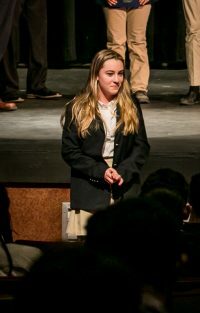 SKS Green Team leaders and seniors Shania Roehrich and Savannah Buon presented the group’s work to reduce food waste and plastics on campus, followed by an acapella performance of “Over the Rainbow” by seniors Caroline Hecht and Asia Raacke. 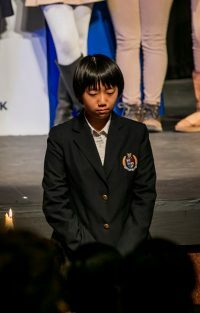 Following tradition, the inductions commenced as four current NHS members lit candles representing one of NHS’ core values– Asia Raacke ’19 for scholarship, Zoe Stene ‘19 for service, Savannah Buon ‘19 for leadership, and Lorenzo Pretto ‘19 for character. 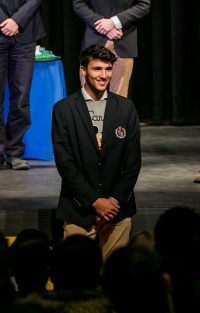 As faculty members Ben Harnick and Cathy Hecht announced the new inductees, each student was escorted to the stage by a current NHS member and a short narrative was read to the audience. The ceremony concluded with the new inductees raising their hands to recite the NHS pledge. In closing, Headmaster Jonathan Lamb thanked both the current and the new members of the NSH for all they have accomplished and will continue to accomplish. “Congratulations to you all. You not only represent the ideals of the NHS and of Storm King, but you live them in your daily lives,” remarked Mr. Lamb to hearty applause by the audience. Always willing to help, whether that is working in the School Store or volunteering at the Armory, Paul demonstrates strong character in the Storm King Community. He always has a kind word to say and is courteous. He believes that you learn about yourself by helping others. An active student whose work ethic and attitude are always trying to catch up to his ability. From showing videos on mental toughness to his tennis teammates to serving on the Green team, and helping with bottle drives, Guillermo believes that the essential thing in life is family and friends and the love that you give. Morgan truly represents honor and integrity in academics, athletics, and community. 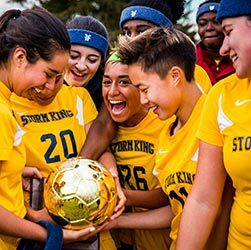 She serves as a role model and high achieving student in the Storm King community. Proud of her work in her cornerstone project, she took on a leadership role to ensure the success. She is always helping in the dorms as an RA with kind words and advice. 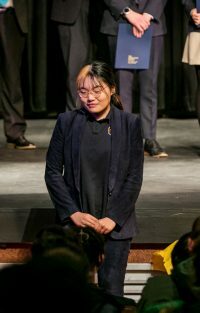 Naunet is an amazing student who wishes to learn from her peers so that they can create a positive change in the community to leave it better than how they found it. Having co-founded the IFC club, she is proud of her work in bringing awareness to women’s rights. She is a tenacious athlete, a dedicated student, and a good friend. Passionate about bringing spirit to the community, she is an all-star whether that is on the volleyball or tennis court. You may see Rory pushing in chairs, cleaning whiteboards or picking up trash everywhere she goes. She leads by example and is very hardworking! She continues to grow as a student and leader! Lin shows uncommon discipline in academics and sports. She prides herself in completing all her assignments. As an R.A in Cottage, Linyin tries to problem solve and build community by helping out her peers. She hopes to continue to be a role model at Storm King and in the Global Community through service. Helen truly cares for the members of her community as is evidenced by her positive interaction with others. Whether she is serving on student council or founding an Art Development Project, Helen believes that it is vital to bring passion in service and that leaders should take responsibility for their mistakes..
Passionate about politics, Pierce worked in Washington D.C. this summer and on the campaign of James Skoufis this fall. 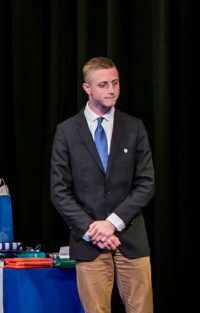 From his work on student council to introducing events for Chinese New Year to greeting new students in the Blue Key Club, Pierce believes that leadership means bringing people together. Jasmine has all the attributes of members of the National Honor Society. 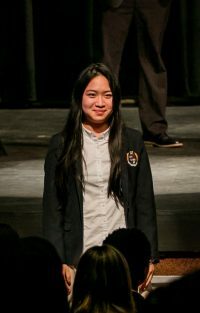 She continues to grow as a leader overcoming her personal and academic challenges. Jasmine has learned through participating in sport how to collaborate with others. As a member of a large Chinese dance team, she has mastered the art of self-management while working with others. She believes the most vital thing a leader faces is helping to solve conflicts. Emmanuel is a leader driven by curiosity. Whether that is tutoring classmates or helping them study for a final exam, Emmanuel believes that humor is an essential part of learning. High in the qualities of personal character, Emmanuel’s drive to learn is in service of others. His competitive nature and commitment to academics are unwavering. 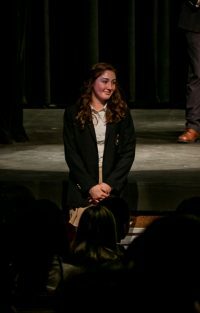 Dorothy is an exemplary student who exhibits all the traits of an NHS member. She is honest and reliable. She is a kind and dedicated student. As a leader in the Art Club, Huanran believes that her analytical skills helped make her a stronger leader. 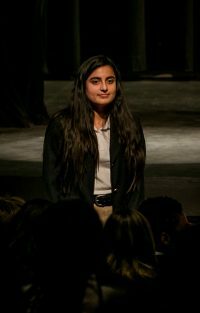 She believes in the power of observation and hopes to build on this as a member of the National Honor Society. Sam is a diligent student who is organized, hardworking and intelligent. She is a leader in any group activity and fully supportive of her classmates. Whether on the ice, court or playing field she believes in the power of encouragement. Her strength as a strategic thinker helps motivate the best in her peers..
Running a club takes both leadership experience and a willingness to coordinate with other organizations. 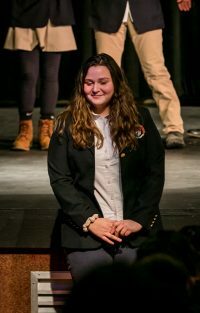 Participating in the Model United Nations and co-founding the Intersectional Feminism Club, Sophia las learned to compromise with others. 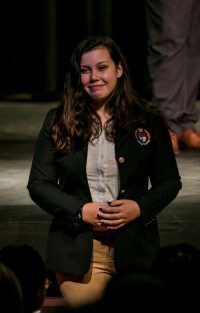 She is an outstanding student and considerable asset to the Storm King Community.